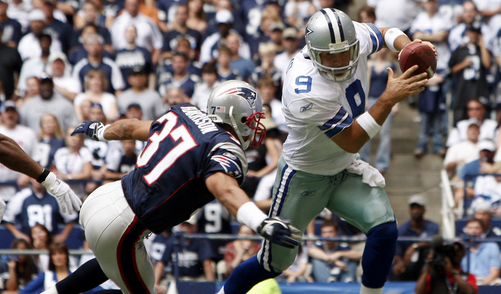 The Cowboys’ Super Bowl chances took a huge hit last week when Tony Romo went down with a fractured clavicle, the same shoulder injury that sidelined him in 2010. Romo will supposedly be back later in the season and ready to lead the Cowboys in the postseason, but it no longer seems like a sure thing that Dallas will make it to the playoffs at all. To win their division, they’ll probably need nine or 10 more wins. They already have two, so they’ll need to go something like 3-4 in Romo’s absence in order to stay ahead of their competition. Can they do it? Let’s take a look. 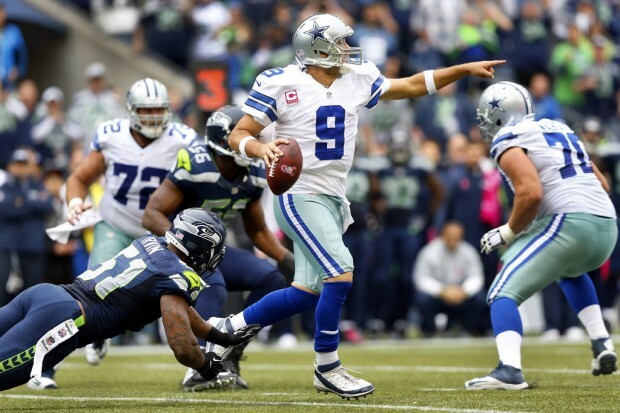 Here’s our game-by-game breakdown of every Cowboys matchup that Romo is expected to miss. The Falcons look tough at 2-0, but they’re a tough team to handicap. They’ve beaten the Eagles, who are confusing enough themselves right now, and the Giants, who have looked awful. But the Falcons also have a new head coach and have the advantage of being the first to play the Romo-less Cowboys, who will have to establish their new identity on the fly. This one could go either way, but we think it will be hard to win without Romo right out of the gate. 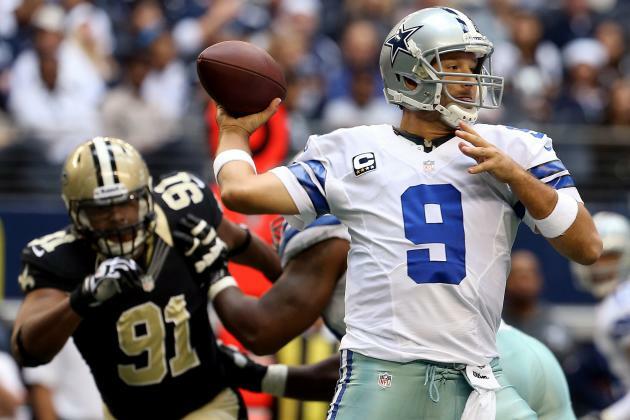 The Cowboys may be without their star quarterback, but New Orleans has looked as if they’re missing half their team. 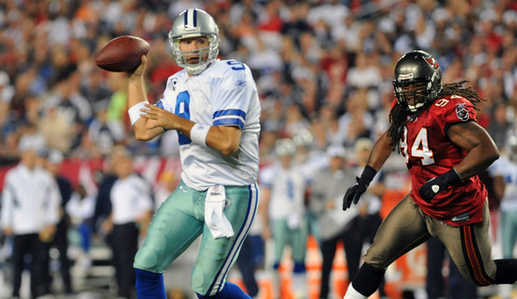 This is probably the easiest matchup that the Cowboys have between now and Romo’s return. The Patriots are the defending Super Bowl champs are have looked stellar this season. Their weakest point is their secondary, which the Cowboys are poorly equipped to take advantage of with their star quarterback busy rehabbing. This one would’ve been hard enough to win to begin with, and it’s going to be even tougher without Romo. The Giants had the Cowboys dead to rights in Dallas before Eli Manning inexplicably threw an incomplete pass instead of taking a sack. The Giants have looked very disorganized this season, but that doesn’t change the fact that the Cowboys deserved to lose in their first matchup. 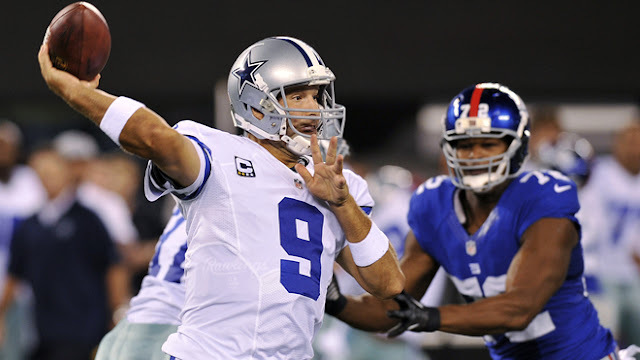 We think they’ll drop at least one of their divisional games in Romo’s absence, and we’re betting it’s this one. The Seahawks have started out 0-2, but don’t let that fool you: this is a very talented team. The loss to the Rams was embarrassing, but losing at Lambeau is almost expected for even the best of teams. Now the Seahawks have Kam Chancellor back to improve their secondary. It’ll be a tough matchup for Brandon Weeden. Chip Kelly’s new-look Eagles just aren’t working. 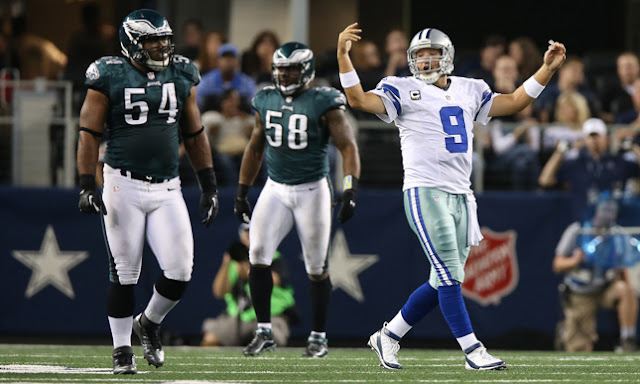 Tony Romo went down in the third quarter of a game in Philadelphia, and the Eagles still couldn’t stop the Cowboys offense. With the same matchup happening in Dallas, the Cowboys should be more than able to replicate their success. 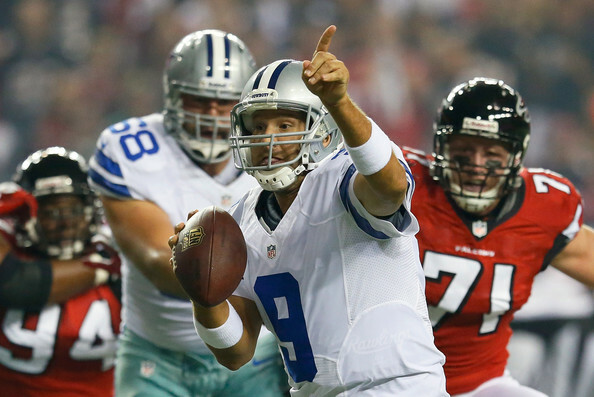 Beating up on the NFC South is going to be the key for Dallas if they want to keep their hopes alive in Romo’s absence.  Three of the seven games that Romo will miss come against NFC South opponents, and the Cowboys will have to take at least two of them to stay competitive. 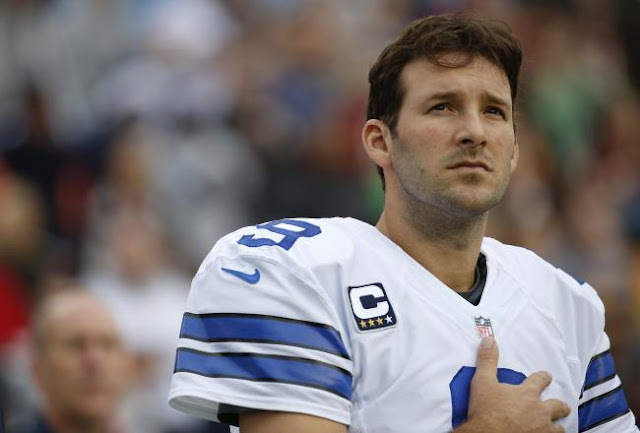 If Romo comes back on schedule, we’re not that worried about the Cowboys. He should return to a team that’s gone 3-4, leaving them with a cumulative record of 5-4. In a weak NFC East, that could still be a first-place record. And the rest of the season should be manageable for Romo: he’ll get the Dolphins, the Panthers and two games against the Redskins among his final seven games.